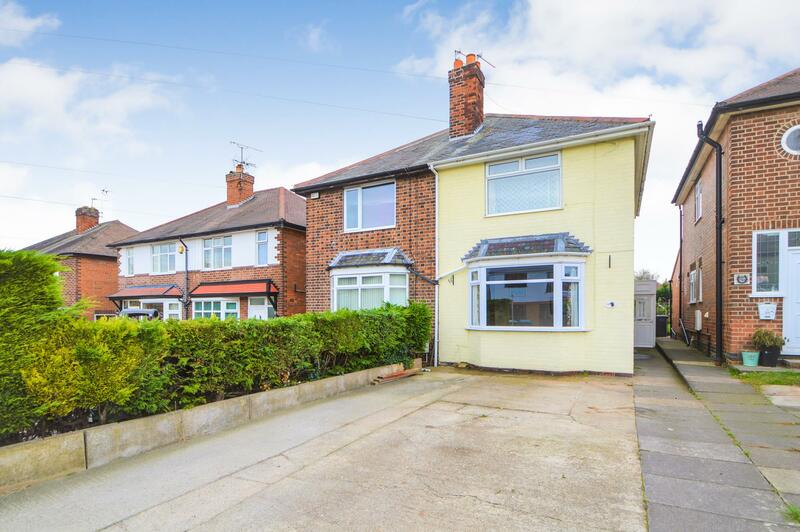 Offered for sale with No chain, Benjamins are pleased to present this three bedroom, traditional semi detached house situated in a well established residential area within reasonable walking distance of the excellent local amenities. With the benefit of double glazing, the accommodation briefly comprises: Living room, Dining Kitchen, Covered side porch, bathroom with white three piece suite, three bedrooms to the first floor Outside there is a Good size rear garden whilst to the front there is off Road Parking for several vehicles. With Double glazed bay window to the front aspect. With a range of built in storage cupboards and shelving, carpet, electric wall heater, feature fireplace housing electric fire with marble effect inset, ceiling light and carpet. With double glazed window to the rear aspect. Fitted with a range of matching wall and base units with roll top works surfaces over, single drainer stainless steel sink unit, part tiled walls, plumbing for dishwasher and washing machine. shelving and carpets. Door to under stair walk in storage cupboard housing the meters and shelving space and further door leading to the rear lobby. With UPVC double glazed door to the side porch, carpet and ceiling light and door to the bathroom. With double glazed obscure glass to the rear aspect. 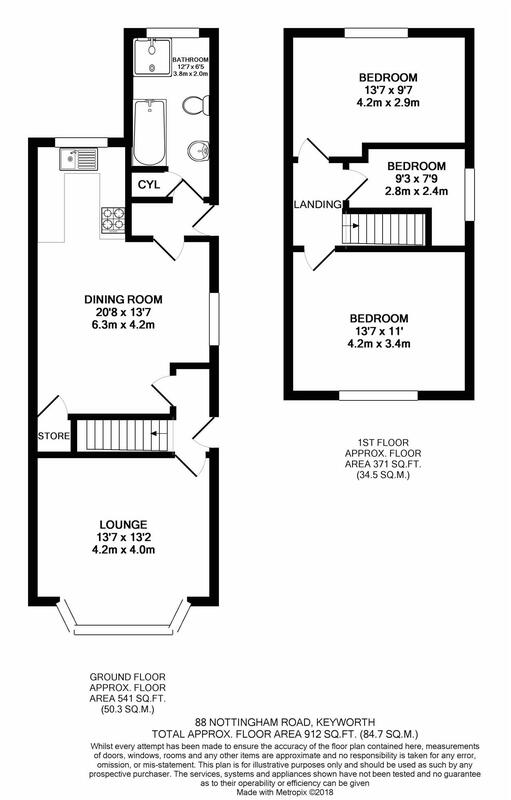 Fitted with a white suite to include shower cubicle with electric shower, low level WC, space for and vent for tumble dryer, built in cupboard, wash hand basin with cupboards below, panelled bath, two electric wall mounted heaters, airing cupboard housing tank and shelving, wall and ceiling lights and wood effect flooring. Timber and glazed with doors to the front of the property and access to the rear garden. With access to the roof space, ceiling light and doors to the bedrooms. With double glazed window to the front aspect. Ceiling light, carpet and built in wardrobes providing hanging space with cupboards above. With double glazed window to the rear aspect. Wardrobe with shelving and hanging space, ceiling light and carpet. With double glazed window to the side aspect. Carpet and ceiling light. To the front of the property there is a driveway providing parking for a number of vehicles, whilst to the rear there is a good size garden with patio seating area generous lawn with a pathway leading to a timber gate giving access to a further enclosed hard standing, planted borders and trees. Enclosed by timber fencing. The local authority Rushcliffe Borough Council has advised us that the property is in council tax band B, which we are advised, currently incurs a charge of £1472.52 (2018/19) Prospective purchasers are advised to confirm this.